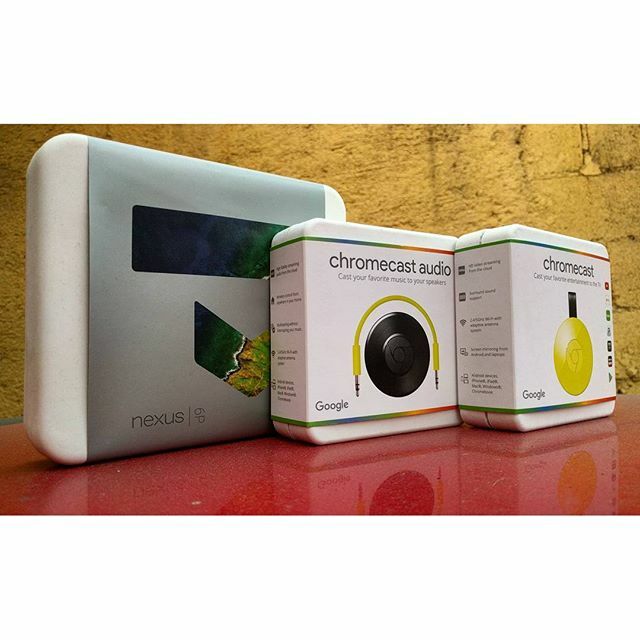 Google’s newest release for audiophiles, Chromecast Audio, proves that good things can come in small packages. Chromecast Audio is about the size of a Reese’s Peanut Butter Cup, but offers all the streaming capabilities you need to listen to your beats on the go. With a retail price tag of only $35, you won’t have to pay big bucks to send any of the music from your favorite streaming applications to the closest pair of speakers. The way Chromecast Audio works promises to be idiot-proof: simply plug the device into a set of your existing audio gear and use any Wi-Fi connection to start listening to music controlled through your smartphone, tablet, or computer. You won’t need a HDMI port to start using Chromecast Audio. Instead the device plugs into any available audio port including RCA, optical, and 3.5mm. The audio cable is included in the box as well as a micro USB charger required for power. Chromecast Audio supports many of today’s most popular music applications including Spotify, Pandora, and iHeartRadio. However, the device is definitely designed for Android users since there is currently no support for Apple Music. The up side is there’s an option to mirror the music files from non-supported applications and still play them via Chromecast Audio. The Chromecast application is used to manage the device and will find all third-party apps compatible. A new multi-room update also allows you to play the same song on different speakers throughout your house. Many users are finding Wi-Fi streaming preferable over using Bluetooth. Perks of using Wi-Fi include higher sound quality, interruption-free listening, and Wi-Fi doesn’t drain your battery in the same way Bluetooth does. Chromecast Audio is ideal for music lovers who want a simple way to play their music without relying on Bluetooth-enabled devices.